When it comes to your four-legged friend, you obviously want to ensure he has the best nutrition possible. But, choosing the perfect brand and formula out of the thousands on the market is far from easy. Still, your dog depends on you to make a sound decision based on what you know about dog food. Just how much do you know about the formulas in each dog food brand? What makes some dog foods better than others? How can you tell good ingredients and nutrition from bad additions to dog food? It’s important information to know, but it’s easy to feel overwhelmed with all the information circling the internet. So, we’re here to guide you through the various dog food brands and formulas on the market. Throughout this guide, you’ll find helpful information about healthy ingredients and nutrition for your dog’s food, what to do about recalls, and what your dog needs from his food. 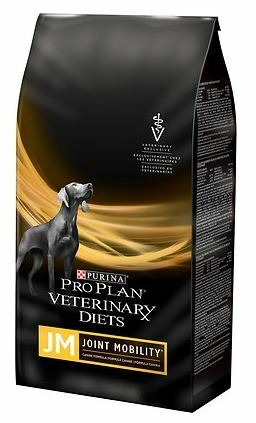 We’ll also recommend the best dog food for your dog’s specific dietary needs based on reviews and nutritional analysis. Whatever you wanted to know about dog food will be in this ultimate guide, so let’s get started! What's Safe For My Dog To Eat? There’s much more that goes into the science behind dog food than fats, proteins, and carbs. There are also minerals and vitamins to consider. Many of the best brands ensure that they include healthy ingredients that provide your dog with vitamins and minerals naturally. Calcium: Calcium helps form strong bones and protect your dog against bone deformities. Calcium can also grow muscles and regulate the nervous system. Calcium comes from dairy products, raw bones, and some fish and vegetables. Magnesium: Magnesium helps the body absorb calcium and even has its own bone-strengthening properties. Several vegetables and seafood provide magnesium. Phosphorus: Phosphorus can aid in blood coagulation and regulation of the nervous system. Phosphorus mainly comes from protein sources, like meat and dairy ingredients. Sodium: In proper amounts, sodium helps regulate fluids inside and outside of the body’s cells to improve organ function throughout the body. Dairy, grains, fruits, and vegetables are all good sources of sodium. Vitamin D: Like calcium, Vitamin D can keep your dog’s bones and teeth strong. It’s found in some fish, dairy products, and meats. Vitamins A and E: These vitamins both contain powerful antioxidants that boost the immune system and fight the effects of aging. Liver, eggs, and carrots are great sources of Vitamin A, and seeds and leafy green veggies provide Vitamin E.
Can My Dog Have Too Many Vitamins And Minerals? Yes! As great (and essential!) as vitamins and minerals are to your dog’s diet, they can become hazardous if you over-supplement Rover. 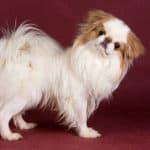 Most dog breeds may need more or less of some vitamins and minerals than others, so understanding your breed’s dietary needs is the first step toward proper nutrition. Fortunately, that’s what your veterinarian is there for. Don’t be afraid to ask questions. Also, don’t take it upon yourself to supplement your dog’s diet by giving him extra vitamins or minerals. In most cases, choosing the right dog food for his breed will give him everything he needs. 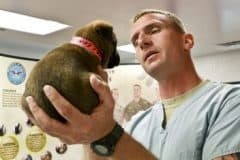 Voice your concerns to your vet. He or she can tell you if your dog needs any supplements, and will recommend a supplement that will give your dog the proper amounts of what he needs. So, just what does your dog need in his food to have a healthy diet? Just as humans have different dietary needs, dogs do too. But, generally, dogs do need at least three important nutrients in their food to keep their bodies functioning properly. Carbohydrates, fat, and protein are essential to your dog’s diet. Your dog’s age, breed, activity level, dietary needs, and overall health can influence how much of each nutrient should be in his food. But, these three nutrients are important for keeping him in shape, giving him energy, and aiding proper digestion. Carbohydrates get a bad rep in the human world. But, they are actually essential parts of our bodies that give us energy for activities and keep everything functioning properly. They do the same for dogs. Dogs, especially, need energy. They’re active animals, and without carbohydrates, they can become overweight quickly, leading to excessive wear and tear on joints, extra stress on the heart, and other health problems. Carbs in dog food come from several sources, like fruits, vegetables, whole grains, rice, and potatoes. Additionally, these carb-packed foods give your dog fiber, which helps keep the digestive process moving in the right direction. Fat also may not sound like something you want in your dog food, but fat provides even more energy than carbohydrates. It’s especially important for very active breeds or dogs who participate in work or sports activities to have plenty of fat content in their foods. Fat can also keep a dog’s skin and hair healthy, reduce inflammation, and keep cells, tissues, and muscles in top shape. Your dog can get healthy fat in his diet from foods that contain healthy oils, like Omega-3 fatty acids and other fish oils, sunflower oil, and flaxseed oil. Protein in dog food usually comes from meat sources, like chicken, beef, and fish. But, eggs, dairy, and some grain products also provide good amounts of protein. You can think of protein as essential building blocks in your dog’s body. Protein creates the amino acids your dog needs to repair tissues and muscles, grow hair, form healthy cells, regulate hormones, and more. Dogs can produce some essential amino acids on their own with their incredible bodies, but the rest needs to come from a healthy diet with protein. If you’ve ever checked out the nutrition content of a dog food, you’ve probably noticed moisture content listed. What is moisture content and why is it important? You can equate moisture content in dog food to water content in human food. Foods with higher water content are often easier to digest and ensure that we get enough water in our diet to prevent dehydration. Canned foods have a higher moisture content than dry foods because they’re often packed in gravy or other juices. High moisture content isn’t necessarily something you need to concern yourself with unless your dog has a specific health issue from which he can benefit from food with more moisture. If your dog is prone to urinary tract infections, for example, your vet may recommend a wetter food to make sure she’s getting enough water. Most dogs, however, are just fine with dry foods if they’re getting plenty of water throughout the day. Now it’s time to get into the heart and soul of dog food: it’s ingredients! We won’t sugarcoat it; dog food can be confusing. Labels may make food seem healthy on the surface, but that’s not always the case. Don’t worry, though. We’re breaking down the label so you can become a nutritional expert! When you look at a dog food label, you won’t just see the ingredients. You’ll also see a section called the Guaranteed Analysis. Guaranteed Analysis is basically a fancy name for required nutritional content information for the purchaser’s benefit. Both the federal government and state governments oversee the regulations for Guaranteed Analysis on pet food. The Association of American Feed Control Officials (AAFCO) provides the gold standard of nutritional content in pet food, and most states choose to follow its guidelines. However, regulations require all pet food brands to display the minimum percentage of crude protein and crude fat, as well as the maximum percentage of moisture and crude fiber in their foods. Pet food companies can choose to provide more information voluntarily, unless they need to prove claims they make on the bag or in advertisements. Certain food products are exempt from providing such information if they’re not intended to provide the minimum nutrients, like a vitamin supplement. The ingredients list is where you can find out exactly what’s in your dog food. All dog food companies must place their full ingredients list on their products, so there can be no deceiving you if you know what to look for and how to break it down. Companies list their ingredients according to weight, in descending order. So, the first ingredient listed is the heaviest one in the formula. Meat is usually the first ingredient, but there’s a trick to understanding whether it’s actually the most prominent ingredient. Meat is predominantly water, which can make it heavier than other ingredients. If chicken is the first ingredient, for example, that doesn’t mean it’s the most common ingredient. It’s only the heaviest. A meat meal, like chicken meal, however, has less water content than a full meat source, so it’s a lighter weight. If the ingredients list a meat meal first, the food likely has a good amount of meat content. One trick some companies use to deceive consumers is breaking apart larger ingredients into smaller ones to make them not seem as harmful. A dog food with a lot of grain ingredients, for example, may have broken-down ingredients, like ground wheat, wheat flour, corn gluten, and ground corn. These ingredients lumped together as corn or wheat would likely be the most prominent on the list otherwise. You can always scan the ingredients list to find out what’s in your dog’s food. Keep an eye on potentially harmful ingredients, which we’ll delve further into in a moment. Just because a company claims its dog food is “Organic,” “All-Natural,” or “Holistic,” doesn’t mean it is. Unfortunately, regulations don’t cover certain phrases yet, so companies may use them to deceive well-meaning dog owners who want the best for their pets. The best thing you can do is check the Guaranteed Analysis and ingredients list instead of relying on catchphrases on the bag. If food claims it’s “Organic”, the majority of ingredients should be organic ingredients. 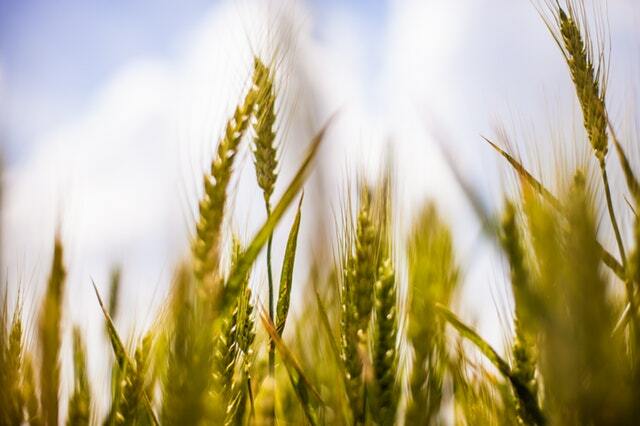 Currently, the United States Department of Agriculture (USDA) is working to create standards for any foods that claim to be organic. The regulations will require dog food formulas to have at least 95% organic ingredients and display a USDA organic seal on the product. Until then, dog owners should trust their instincts and their knowledge. Dog owners tend to be aware of things to stay away from in dog food. Of course, that’s important, but it’s just important to know what ingredients your dog’s food should have to be considered a healthy food. For a dog food company to put this phrase on its packaging, it needs to complete a trial using AAFCO procedures and meet a Dog Food Nutrient Profile outlined by the AAFCO. Therefore, every nutrient in the profile must meet the minimum recommended amounts. Even though they love their meat, dogs can enjoy a good fruit or vegetable as much as humans do. Believe it or not, some fruits and vegetables aren’t safe for dogs, and we’ll delve deeper into that in this guide. Still, there are several fruits and veggies that will give your dog extra vitamins, minerals, antioxidants, and plenty of overall health benefits. Grains in dog food tend to have a bad reputation, but they shouldn’t. The quality and type of grain are what makes the difference. Whole grains are an excellent source of fiber in dog food that helps keep the digestive track moving and healthy. Oats, quinoa, and brown rice are examples of excellent whole grains for your dog. Of course, some dogs are prone to allergies involving grains, which is why you see several Grain-Free formulas in the dog food aisle. But, if your dog doesn’t have a dietary need that prohibits grains, they’re perfectly okay for his food. Of course, protein must be in a dog food for balanced nutrition. But, it can be difficult to distinguish quality proteins from the rest. What you want to focus on are complete proteins, also known as whole proteins. A whole protein is one that includes all essential amino acids that dogs need to thrive. Beef, liver, chicken, and fish are all excellent sources of protein. Some dog food companies place additional nutrients in their dog food that can keep his diet balanced. Sometimes – even better! – they come from the ingredients themselves. Chondroitin and glucosamine, for example, keep joints lubricated and working smoothly. The more nutrients that are packed in, the more beneficial for your dog. Knowing what to avoid in your dog’s food can make all the difference between a healthy diet and a poor diet. But, some ingredients can take a poor diet one step further and cross it into the danger zone. That’s why it’s especially important to know some of the most important things to watch for when scanning the ingredient label on a dog food product. Seeing ‘lamb meal’ or ‘chicken by-product’ on an ingredient list can throw you for a loop, but these aren’t necessarily anything to be concerned with. 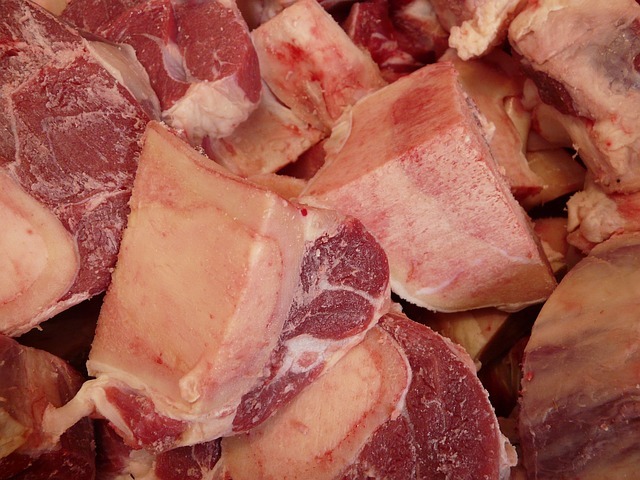 ‘Meal’ refers to animal meat, skin, muscles, and bones being ground up and dried to reach a lower moisture content. ‘By-product’ includes much of the leftover waste of an animal carcass, like organs, beaks, or feet. It sounds gross, but by-product and meat meals can give your dog excellent protein content in his diet. The problem lies in the quality of these protein sources. You’ll want to stay away from food that fails to list what type of meat the meal or by-product comes from. For example, be cautious of an ingredient list containing a phrase like ‘poultry by-product’, ‘meat by-product’, or ‘meat meal’. Named meat meals can be excellent protein sources. By-products shouldn’t be your go-to source of protein, but they’re not unacceptable. What makes them unacceptable is when they aren’t named. Generic by-products can contain dead or dying livestock, road kill, and anything in between. Named by-products typically come from a trusted source. Most dog food must be preserved somehow, just like human food. But, you may not know what distinguishes a good preservative from a bad one. The most important thing to look for is super long, confusing names that sound like chemicals. If it looks like a chemical and sounds like a chemical, it probably is a chemical. Companies use these chemicals to preserve dog food for longer because they help keep fat from turning rancid. They’re also linked to several health problems in dogs, like cancer and kidney and liver failure. Natural, healthy preservatives will come in the form of vitamins and other natural sources. They won’t be as effective for as long, but they also won’t compromise your dog’s health. Vitamin A (ascorbic acid), for example, can keep fats from turning rancid without putting dangerous chemicals into your dog’s body. Unhealthy grains usually make their way into dog food as fillers. Fillers help create a product that may seem nutritious and filling; however, a quick dig into the ingredients will prove that fillers make up most of the food’s content. They have no nutritional value for your dog. Instead, they’re there to create a more cost-effective food for a company. Corn meal, soybean meal, wheat gluten, rice hulls, and cereal by-product are common grains and fillers that aren’t remotely necessary in dog food. They provide little nutritional content and often replace more high-quality ingredients to cut costs. Do you know where your dog food comes from? Don’t worry – most dog owners don’t. In fact, most don’t give it a second thought, assuming that the products created for your dog to eat should automatically come from healthy sources. Unfortunately, that’s not always the case. Although the FDA regulates the dog food produced in the United States, it can’t do the same for foods produced from international companies. Additionally, even those made in the United States may contain ingredients from other countries, like China. The “Made in the USA” label only requires a dog food to be manufactured mostly in the United States, but it doesn’t regulate its ingredients. If this loophole bothers you, your best bet is to do plenty of research on a company before purchasing its dog food. A respectable company will have no problem being transparent about where it gets its ingredients. Look for information on the website, or give a quick phone call, to find out more information. Poor ingredients don’t just mean that your dog isn’t getting the right nutrient content. They can also cause severe health problems. In fact, the wrong combinations of ingredients can create a mixture that’s toxic for some dogs. Certain dog food formulas have been linked to severe digestive problems, allergies, and even death. Your dog’s food could even influence his behavior. Food additives, like chemical preservatives and unnecessary dyes, can cause disobedience and hyperactivity. Certain food dyes may even cause cancerous tumors. So, you now know what to look for on an ingredients list. But, what about other food that exists outside of dog food? What’s safe and unsafe to feed a dog? Of course, we can’t cover every single food that’s good and bad. Instead, we can go over a few general rules for feeding your dog safely. First, avoid overly-processed foods. They’re no safer for dogs than they are for you! Boxed foods, some canned foods, and snacks, like pretzels or crackers, aren’t good choices for dogs. They can not only harm your dog, but they also don’t have any nutritional value for dogs. If you want to reward your dog or just give him a snack, you could give him some good, wholesome treats. You could even consider making your own healthy homemade dog treats! In between meals, you can offer your dog chew toys that are almost indestructible for even heavy chewers. Proper chew toys can keep a dog from over-eating or begging for your table scraps (leaving you less tempted to give in!). Oatmeal: Oatmeal is an excellent source of fiber that promotes regularity. And, even dogs with wheat allergies can enjoy oatmeal! Fruits: Many fruits, like apples, bananas, blueberries, and strawberries, are excellent sources of vitamins and minerals for your dog, if they’re given in moderation. Also, watch out for seeds and skin on certain fruits that can make your dog choke. Of course, always wash fruits and veggies before feeding them to your dog. Vegetables: Carrots, broccoli, sweet potatoes, spinach, and pumpkin are among the many vegetables safe for dogs. 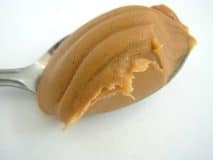 Peanut butter: Dogs tend to love the flavor of peanut butter. In small amounts, it’s generally safe to eat. Just remember that a large spoonful can create a choking hazard and give your dog more calories than necessary. 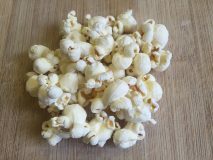 Popcorn: Popcorn is safe for your dog if it’s homemade. Microwave and packaged varieties tend to be loaded with unhealthy additives, fats, and salt. So, make it yourself and don’t add extra butter or salt. Brown rice: Brown rice is a healthy carbohydrate source for dogs to give him the energy he needs throughout the day. You should not only avoid giving your dog these foods, but also be wary of a dog food that has them listed as ingredients. Milk: Dairy, in general, is not a safe bet for dogs, but milk is one of the worst dairy choices. Most dogs won’t be able to digest it properly, leading to stomach upset. Dairy is also one of the most common allergens for dogs. Salt: Some sodium content in your dog’s food is good, but excessive amounts of salt can lead to dehydration. If you give people foods to your dog, make sure there isn’t any high salt content in the food or extra salt added. Raw meats: Raw food diets are one thing; raw meats are another. Avoid giving your dog raw meat at home. Raw food diets are properly manufactured and pasteurized to make sure there any harmful contaminants in the meat. 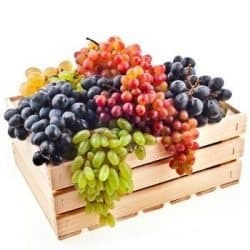 Fruits: Grapes and raisins are toxic for dogs. The exact cause isn’t known by experts, but they’re linked to kidney failure. Cherries can also be harmful to dogs, leading to respiratory failure. Vegetables: Garlic, onions, and other Allium plant species are harmful to dogs. They can harm the digestive system and even lead to anemia. You should also avoid any raw plants or veggies from your garden to avoid possible contaminants that can make your dog sick. 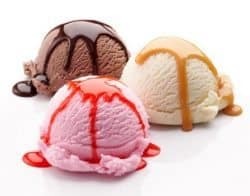 Ice cream: Ice cream is not only a dairy product, but it’s also a high-fat and high sugar product, all of which are no-nos for a dog’s diet. Chocolate: Chocolate is another toxin for dogs. 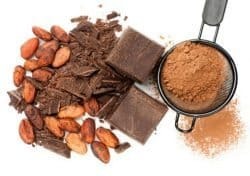 Cacao seeds used to make chocolate contain methylxanthines, which can lead to vomiting, dehydration, tremors, and heart abnormalities. Sugars and sweeteners: Extra sugars in food can do the same to dogs as humans, like cause weight and heart problems. Sweeteners are especially dangerous. Xylitol, for example, can lead to liver failure, diabetes, and severe vomiting. We understand that some dog owners would rather cook their dog’s meals so they know exactly what’s in their food. There are certainly valid reasons for this. Homemade dog food won’t have the risk of recalls and improperly regulated ingredients. Plus, dog owners can weed out any ingredients that don’t agree with their dog or their diets. 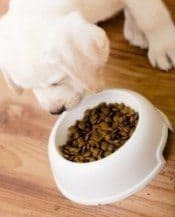 Homemade dog food can be safe, but only if dog owners are extremely vigilant and knowledgeable about what should – and shouldn’t - go into the food. But, you may find it more difficult than you thought to make balanced meals using wholesome ingredients. If you want to go the homemade dog food route, you should talk to your veterinarian. He or she can point you in the right direction, like recommending a local expert who can help you formulate recipes that are perfect for your dog and his needs. Prescription diets have come under a lot of scrutiny by dog owners who believe they’re just another way for dog food companies and veterinarians to make money. Although the FDA can keep foods from being sold to treat a disease or dietary need, it still allows veterinarians to recommend certain foods to meet specific dietary needs. You and your vet know your pooch the best, so trust that your vet will have your dog’s best interests at heart. If your vet prescribes your pooch a special food for a dietary need, expect to pay more money than you would a regular formula. But, those prescribed diets can help meet an important dietary need that other formulas can’t. Of course, if you have any question of whether the prescribed diet is necessary, you can always get a second opinion from another trusted veterinarian. You walk down the dog food aisle and see terms like "Rich, Beefy Flavor!" and "Moist Kibble in Chicken Gravy". Are dog food flavors and textures really that important? Won’t dogs eat just about anything that’s put in front of them? Like people, some dogs like a lot of flavors and textures. Other dogs can be extremely opposed to some flavors or textures. Some dogs, for example, may turn away at the sight of canned food, yet they love their kibble. Sensitive noses and boredom with food can cause aversion to some flavors. Mouth or dental pain can cause texture aversions. If your dog seems extremely opposed to a new food and he has no underlying health issues, he may just need a transition period. Ask your vet about the best way to transition him from one food to another. So many types of dog food, so little time! 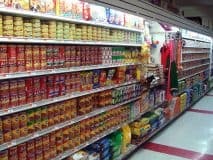 The dog food aisle is certainly overwhelming for dog owners, especially new ones searching for the right food for their new family member. Here’s a breakdown of the most common types of dog food and how they compare to each other. Dry dog food is likely the one most people think of when they think of dog food. Also known as kibble, the hard, bite-size pieces of dry dog food give a crunchy texture most dogs enjoy and help to scrub and clean the back teeth as they chew. Many dog food brands provide different dry food formulas with varying sizes of kibble so even the smallest and largest breeds can enjoy them. Dry food is one of the easiest to feed your dog. You don’t need to mix anything in, as they are made to provide a balanced meal for dogs. 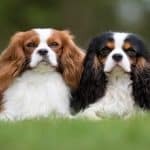 But, this is also one of the most concerning types for dog owners because they can contain fillers, chemical preservatives, and other harmful ingredients to avoid. Wet dog food, also known as canned dog food, has a high moisture content that’s helpful for dogs who need more water in their diets. Those with oral health problems or pain may also enjoy eating this type of dog food because it takes much less effort to chew than dry dog food. Wet dog food doesn’t typically last as long as dry dog food because they don’t contain preservatives. Canned food is also generally more expensive than dry dog food and can be somewhat more inconvenient to feed to your dog. As the name suggests, semi-moist dog food is a mix of wet and dry dog food. It usually comes in small pellets or larger chunks that are softer to chew than kibble, but has less gravy or juices than canned food. Semi-moist foods have more water content than dry food, but less than canned. These foods last a bit longer than canned food because they contain a few preservatives. Semi-moist dog food can be slightly less expensive than canned dog food, but more expensive than most dry dog foods. One of the most controversial types of dog food is raw dog food. These diets focus completely on raw ingredients, including fruit, vegetables, meat, and animal bones. Raw dog food is supposed to get dogs back to their natural diets that they’d have in the wild, rather than processed dog food. The FDA remains firm in its stance that manufactured foods are healthy for dogs, but many veterinarians are split on the healthiness of raw dog foods. 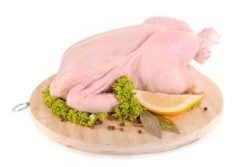 One of the biggest concerns is bacterial contamination from raw meats. Some people also worry about the potential of raw bones posing a choking hazard to dogs. Dehydrated dog food is basically raw food that goes through a heating process to minimize the risk of contamination from raw foods. The slow heating process cooks raw meats without affecting their nutritional value and removes moisture content to allow the food to remain fresh longer. Dehydrated food provides much of the same nutrition as raw food but with fewer health risks. Freeze-dried dog food is like dehydrated food, except that it’s dried under extremely low temperatures instead of high temperatures. The food, therefore, doesn’t get cooked; instead, the freeze-drying process removes moisture while keeping the nutritional content the same. Through this process, most flavors and textures don’t get compromised. Much like babies, puppies need special nutrition. Their diets can contain both canned and dry food, but they have different vitamin, mineral, and nutrient needs than adult or senior dogs. 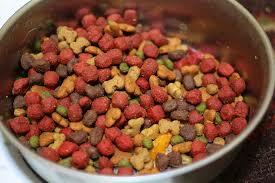 Dry puppy food usually has a very small kibble that makes it easier for small pups to chew and digest their food. You’ll likely notice that the calories of puppy food are higher than adult foods because pups require more calories for all their extra energy and growth. Learn more about puppy nutrition here. Senior dogs also require different diets than puppies and adult dogs. They, too, can benefit from dry or wet foods, but senior dogs with oral health problems may prefer a softer food to a hard one. Senior foods typically have lower calories than adult foods to keep less-active dogs at a healthy weight. Similarly, senior formulas will usually have smaller amounts of protein because they aren’t as active as adult dogs. You may see helpful nutrients, like chondroitin and glucosamine, added to your senior dog’s formula. These nutrients can keep your dog’s bones and joints in good health to relieve joint pain and strain. Grain-free dog food is quickly becoming one of the most popular types. These formulas are free of grains, like corn, wheat, and soy, which are common allergens in dogs. Even for dogs without allergies, a grain-free diet can be more digestible, as a dog’s body isn’t the best-equipped for digesting grains. Organic dog food is one many dog owners have turned to in more recent years. 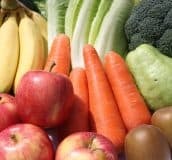 Dog owners concerned with harmful pesticides on fruits and vegetables or controversial feeds for animals prefer organic diets. These diets include ingredients free of hormones, antibiotics, pesticides, and other harmful or toxic contaminants. For a company to label its dog food 100% Organic, all ingredients must be organic. To name it as Organic, 95% of its ingredients must be organic. The term ‘Made with Organic’ means that at least 70% of the dog food’s ingredients are organic. Remember, though, that the USDA is still working on creating a system to regulate USDA-Certified Organic labels. Until then, you’ll need to use your best judgment when decoding labels. Limited-ingredient dog food is best for dogs with known allergens. Limited-ingredient formulas include very few ingredients to minimize the risk that a dog will have an allergic reaction to its ingredients. For example, a limited-ingredient dog food will usually only have one protein, like beef, rather than two or more. But, it’s important to check the nutritional content of limited-ingredient dog foods to make sure they still deliver a complete meal. Look at the Guaranteed Analysis to ensure your dog will be getting the proper mix of carbs, protein, and fat from the diet. Before we get into some of the reviews, you should first understand how the recall process works. How do you find out about dog food recalls, and what do you do if your dog’s formula has been recalled? Safety of your dog’s food is, of course, a number one priority of yours. That’s why the FDA has a section of its website devoted to pet and animal feed recalls. Although some recalls do end up on the news or across social media, they aren’t always as widespread.  So, keep the FDA’s recall information page bookmarked to check regularly. It’s important not to jump to conclusions if your brand has been recalled. Sometimes, companies conduct a voluntary recall because it believes just a few packages of its food may have been packaged improperly. Other recalls are mandatory and could pose a health risk to your dog. If you hear about a recall, look it up on the FDA’s website first instead of trusting news outlets or social media. The FDA will provide all the important details and facts. It will also give you guidance on what to do with your food, how to get a refund or replacement, and whether your dog should seek medical attention because of the recall. The best dog food brands are those you can trust to provide safe, healthy food for your dog every single time. But, with hundreds of dog food brands to choose from, how do you know what ones are the best on the market? Your dog’s breed and dietary needs can, of course, affect your experience with a specific brand. But, there are some brands that you can generally trust to provide a formula that will work for your dog. Our dog food ratings and reviews are based on several factors, including customer experience, nutritional value, and the brand’s dedication to manufacturing the highest-quality dog food. Although there are several dog food brands we absolutely love, these are a few that really stand out in terms of healthy and safe manufacturing processes, customer dog food reviews, reliability, and trust. Orijen is part of the Champion Petfoods company, which manufactures all its products in its own facilities. Your dog food ingredients are never outsourced to another location. Less handling of ingredients means less risk of ingredients losing quality or becoming contaminated. Orijen formulas have some of the best ratings from trusted websites, like Reviews.com, Amazon.com, and Chewy.com. The brand puts a significant focus on high-quality proteins and no fillers in its foods, as well as natural preservatives, balanced ingredients, and fruits and vegetables that provide important vitamins, minerals, and fiber. The Honest Kitchen provides a few very popular dehydrated dog foods. The company focuses on creating the healthiest, freshest, and most balanced dog food formulas on the market. The Honest Kitchen believes in its dehydration process as a healthy way to keep foods fresh, and many dog owners and experts agree. One look at the ingredients that The Honest Kitchen uses can make you a believer. Organic oats, spinach, apples, cranberries, and duck are among some of the ingredients you’ll find in its formulas. Although this brand is more expensive than others, your dog is guaranteed to have a balanced, fresh meal with trusted ingredients. 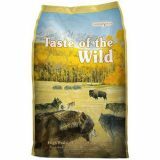 Lotus Natural Pet Food is a brand of Centinela Feed and Pet, a trusted Los Angeles brand of retail stores. Lotus sources its ingredients from the United States, Canada, and New Zealand and holds strict standards for everything it puts in its formulas. The dog food recipes from Lotus are meant to meet the dietary needs of all breeds with a well-balanced list of ingredients and helpful nutrients. Lotus also cooks its foods in small batches for added quality control, using low temperatures to bake them and keep nutritional content intact. ACANA is not only a dog food brand with incredibly high-quality food, but it’s also less expensive than other premium brands. ACANA, like Orijen, is a brand from Champion Petfoods, so the trust factor is something you can count on. ACANA pays close attention to the areas from which its fish and other meats come from, allowing for only a few trusted sources. Ingredients are kept as natural as possible through cooking processes and all meat, fish, and eggs are human-grade foods. On an ACANA diet, your dog will get balanced meals, plenty of healthy proteins, and fresh ingredients. Canidae is one of the best brands for trustworthy, quality assurance. Canidae oversees its own manufacturing facilities to ensure that standards are upheld and proper care is given to the cooking and packaging processes of your dog’s food. The main plant even has its own research and testing lab to help create the best foods. One of the best things about Canidae is the brand knows where all its ingredients come from. Most meats are from Wyoming farms and the fish from the waters of the Pacific. Canidae uses natural preservatives for its foods and even adds in healthy probiotics, vitamins, and minerals to aid digestion, improve coat health, boost immunity, and more. If your dog has a specific health issue or dietary need, it may be necessary to look for a dog food that can meet that need. Although the FDA keeps dog food companies from claiming that a certain formula can treat an ailment, you can still choose a formula that can aid your dog’s digestion, allergies, diabetes, or other health issues. 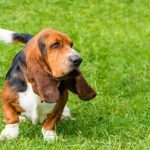 There is a wide range of health issues that can affect dogs, but the following are among the most common. This guide can help you understand how your dog’s food might affect his current ailments and how a different food might better meet his needs. Allergies in dogs usually show up as extremely itchy skin. 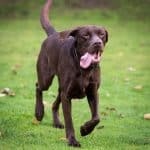 You’ll notice your dog licking and scratching much more than usual, as though she can’t control the urge. Some of the time, a dog’s food is to blame, but some dogs are simply predisposed to allergic reactions. Switching to a hypoallergenic formula can relieve your dog’s pain and discomfort and get him back to enjoying his food again. Hypoallergenic foods usually use different meats than what you typically see in dog food. Instead of beef, chicken, or liver, for example, you might see buffalo or kangaroo. That’s because these meats are more easily digestible and less likely to cause allergic reactions. Many formulas for dogs with allergies also contain less grain, dairy, and soy, all common allergens in dogs, and fewer ingredients than other formulas. With fewer ingredients, your dog will have a reduced risk of an allergic reaction. Read more here. Arthritis is one of the most common ailments to affect dogs. Senior dogs are especially prone to joint pain and stiffness caused by arthritis, which can become worse as they age and become less active. Fortunately, the right diet, complete with anti-inflammatory and weight managing ingredients, can help improve mobility and reduce pain. Good food for arthritic dogs is one with low fat and calorie content to maintain a healthy weight. Extra protein can keep muscles growing to burn fat. 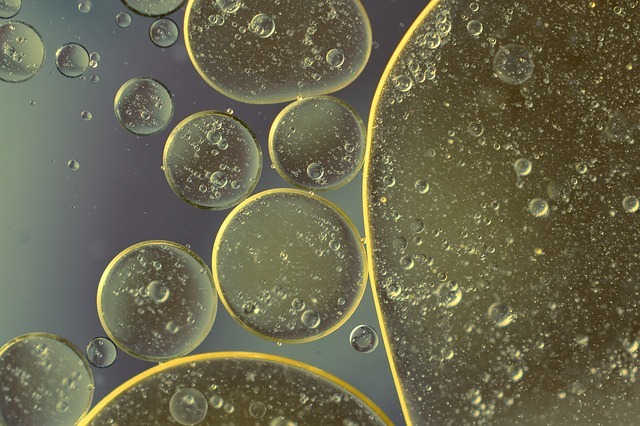 Additionally, healthy oils from fish, sunflowers, or vegetables can lubricate, and encourage healthy, joints. Many vegetables and fruits have anti-inflammatory properties to keep painful inflammation down. Zucchini, apples, spinach, and blueberries are among the best in dog food. Most foods for dogs with arthritis will also have added chondroitin and glucosamine for healthy joints and low grain content, since some grains may increase inflammation. We can usually accept the fact that our beloved four-legged friends tend to have bad breath. But, some dogs have chronic bad breath than even teeth brushing doesn’t seem to help. Sometimes, a simple switch in foods can make all the difference. Dog foods, treats, chews, and bones made specifically for oral and dental health can help dogs with bad breath. 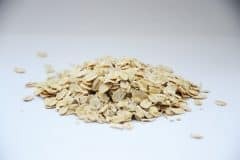 These foods typically have special kibble with a unique texture that acts as a thorough teeth cleaner to clean out oral bacteria. Along with daily teeth brushing, the right food formula can combat the germs that cause stinky breath. Colitis, or inflamed colon, isn’t always a huge cause for concern in dogs, but it can be, especially if the condition becomes chronic. Your dog may be able to combat colitis caused by a brief illness quickly, but chronic colitis may need treatment from a vet and a diet change. Dogs with colitis may benefit from a high-fiber diet with highly digestible ingredients. Lean, white meats can break down easier in the body to aid digestion. Ingredients with a lot of fiber, like rice and flaxseed, will keep his digestive processes on the move. Diabetes in dogs can be just as scary as it is for humans. Fortunately, like humans, many dogs can benefit from a change in diet to help them more easily regulate their blood sugars. Since sugar is the main concern for dogs with diabetes, it’s important to limit excess treats, avoid sweets, and control portions to maintain a healthy weight. A low-grain formula can help limit carbs, which turn into sugar in the body, in your dog’s diet. High, quality protein content is also important because it can help regulate your dog’s metabolism. Look for lean, low-calorie proteins, like fish and chicken. Kidney disease is most common in older dogs, but it can affect the younger age group. It’s especially scary because there’s no cure. But, with a proper diet and veterinarian oversight, dogs with kidney disease can live a healthy life while keeping the disease manageable. The best food for dogs with kidney disease will contain plenty of vitamins to boost the immune system, like Vitamins C and E. Omega-3 fatty acids are equally important, as they help fight inflammation. You may also want to steer clear formulas with a lot of ingredients because they can cause added stress on bladder and kidney function. Dogs with kidney disease may benefit from a semi-moist or wet food over a dry kibble. Your dog needs plenty of water to keep his kidneys in optimal health. 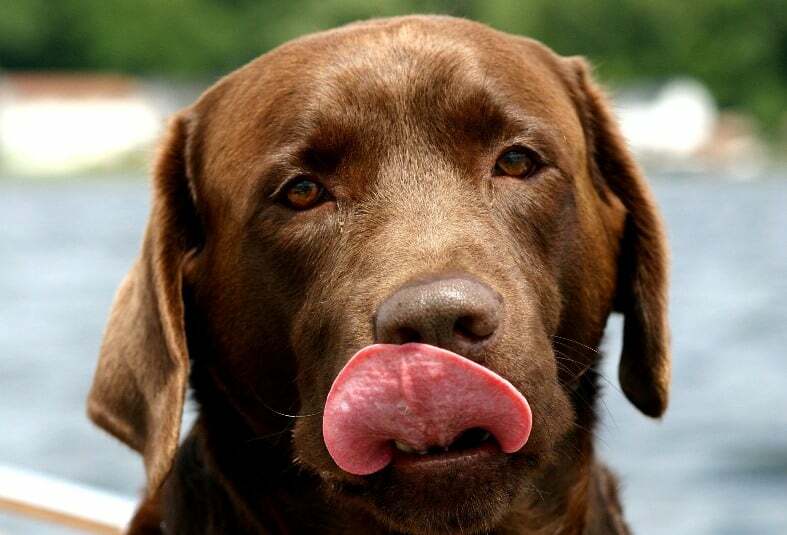 If your dog doesn’t love to drink water, a wet dog food can provide additional water with each meal. Loose stools can happen to the best of them. An occasional loose stool isn’t usually anything to worry about, but chronic loose stools can be more than just an inconvenience. They can cause your dog to have other health issues, like dehydration. Often, chronic loose stools are the result of a food allergy or food intolerance. Limited-ingredient formulas may benefit dogs with chronic loose stools because they tend to eliminate common ingredients that cause allergies or intolerances. But, a good balance of protein and fat can also firm up your dog’s stools. Avoiding grains, fillers, dyes, and unnatural preservatives can also promote a healthy digestive tract. When Fido becomes overweight, the excess pounds can stress his organs and joints and make him less active, making it even more difficult for him to get back to a healthy weight. Overfeeding, feeding an unhealthy food, or illnesses can cause a weight problem in your dog. Some breeds are also genetically predisposed to weight issues. Food for overweight dogs should have low fat and calorie content, balanced with high protein content, to regulate metabolism and weight. Of course, portion control also plays an important role, so seek your vet’s recommendation for how much to feed your dog each day and at each meal. The cause of sensitive tummies in dogs can be difficult to pinpoint. If your dog is consistently vomiting, having loose stools, or seems to have an abnormal amount of gas, make a visit to the vet to find out the underlying cause. However, in many cases, a change of diet can help regulate the digestive system to help dogs with sensitive stomachs. Limited ingredient diets may help your dog get back to his normal self. Formulas that include wholesome, healthy ingredients without fillers can provide vitamins and minerals necessary to aid digestion. Look for quality, easily-digestible proteins as the main ingredient, and grain-free carbs, like sweet potatoes. Plenty of fiber can also keep everything moving along in a healthy way to prevent upset tummies. If your dog frequently gets urinary tract infections, your vet has likely recommended a diet switch. Excess protein in the body can lead to excess ammonia, one of the main causes of bladder stones. A limited protein diet, under the supervision of your vet, may help reduce instances of bladder infections and stones in your dog. Foods for urinary tract health will often be slightly more acidic than other foods. Some acid can help balance urine pH to prevent the buildup of bladder stones. They’ll also have some additional salt content to encourage your dog to drink more water. Plenty of water is essential in any dog’s diet, but it’s especially important for dogs with urinary tract problems. You can usually tell if your dog has a yeast infection if he’s itching and scratching uncontrollably. Yeast infections happen when the natural yeast on a dog’s body gets out of control. Either environmental or food triggers can be the culprit, but your dog’s diet may exacerbate the issue. Although some dog owners feel grains are to blame for yeast infection, research hasn’t yet concluded a link. 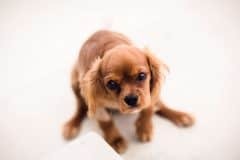 However, starches have proven to be a large cause of yeast infections, so formulas with limited starches, like rice and potatoes, may benefit your pooch. Limited ingredient diets can also give your dog the proper nutrients without all the extra ingredients that may cause allergic reactions and yeast flare ups. Having different dog food formulas for different ages isn’t a tricky tactic used by dog food companies – it’s a necessity! A baby doesn’t eat the same food as an older child, and the elderly often have special diets to meet their medical health needs. Dogs also have different nutritional needs based on their age. Choosing the right formula for your dog’s age can help her live the healthiest, most active life possible. Puppies are excitable, energetic little bundles of joy. But, they need even more energy than they display. Their bodies need energy to keep them growing at a healthy pace, too. That energy, of course, comes from a healthy diet. Puppies need well-balanced, quality ingredients, mixed with vitamins, minerals, and nutrients that are essential for proper brain growth, joint health, and organ development. Pups need a higher number of calories than most other dogs to provide enough energy for their bodies to grow. A high-quality protein is also an especially important energy source for puppies. Protein will also help replenish tissue to help grow your pup’s muscles. Ingredients that provide Omega-3’s and 6’s can promote excellent brain growth. Finally, a small kibble size is also important for most puppy foods. Large kibble can make it difficult for puppies to chew their food and can lead to improper digestion or upset stomachs. Aging dogs tend to become much less active than they were in their younger years. Less activity can equate to weight gain, joint stiffness, lower metabolism, and other issues that can affect your dog’s overall health. Most senior formulas focus on lower calories than those in puppy or adult formulas. Extra fat content, although it seems counter-intuitive for controlling weight, can help your dog absorb nutrients better. If your dog suffers from achy or stiff joints, look for formulas with glucosamine and chondroitin, which can foster strong bones and healthy joint mobility. If your dog is pregnant or you believe she can benefit from a specific type of diet, you should check with your vet first. Not all diets are safe for all dogs, and your vet can make sure a specific diet will meet your dog’s dietary needs. Below are some of the most common specific diet types you may consider feeding your dog and how they differ from others. Pregnant dogs need the right nutrition for themselves and their growing pups. Your veterinarian can help guide you in the best direction for feeding your pregnant dog, especially if there are any health concerns with her pregnancy. But, most pregnant dogs are safe to eat what they normally would, especially if they’re already eating a complete and balanced diet. The important thing to focus on as your dog gets closer to giving birth is additional calories. Around the 6-week mark, pregnant dogs typically need between 30% and 50% more calories. Some vets may recommend supplementing your dog’s regular diet with some additional canned food for extra water and more calories. You can also look for formulas with fatty acids, like Omega-3’s and DHA, to support puppy health. Dogs who suffer from weight problems due to genetics, illness, or low activity, may benefit from a low-fat diet. Some dogs with health issues, like pancreatitis, may also do better on a low-fat diet. A whole meat as the main protein is best for low-fat diets. Look for formulas that say something like “whole chicken” or “chicken meal” in their ingredients list. Plenty of fruits and vegetables can take the place of fattening fillers and unnecessary ingredients that can cause weight gain. Leafy greens, especially, can provide the fiber needed to help your dog’s digestion. Raw diets remain controversial in the dog food world, so your vet may be in favor or opposed to such a diet. If you want to try your dog on a raw diet, make sure the brand you choose is trustworthy. A company should set incredibly high standards for its manufacturing and packaging process to ensure that raw foods remain as healthy as possible. Look for formulas with quality proteins that equate to at least half the diet. The food should also include raw vegetables and fruits to give your dog a healthy balance of nutrition. If you’re switching from dry or canned food to a raw diet, be sure to acclimate your dog slowly so you don’t send a shock to his digestive system. Although grain-free diets are also gaining steady popularity, they’re not necessary for every dog. 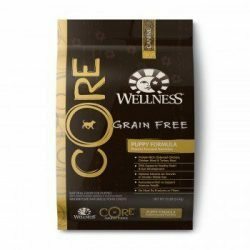 Typically, dogs with sensitive stomachs and those prone to allergies or food intolerances may benefit the most from a grain-free diet. If you’re unsure if this type of diet is a good choice for your dog, consult your veterinarian. Grain-free diets cut out things like corn, wheat, and soy, which can be common allergens in dog food. 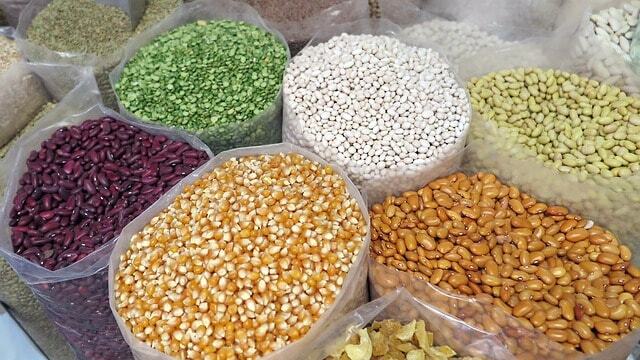 Usually, these grains are replaced with sweet potatoes, peas, tapioca, and other carbohydrate sources. Most grain-free formulas are higher in protein than others. The good thing about grain-free diets is they typically have fewer fillers than other dog foods. You’ll often see more superfoods, like cranberry and pomegranate, and less unnecessary ingredients, like wheat flour or corn meal. Highly active dogs, like hunters and herders, can often benefit from a diet with extra energy sources. More importantly, their food should sustain their energy throughout the day, rather than providing peaks and drops in energy. Formulas for active dogs will, therefore, contain slow-digesting ingredients with plenty of protein to keep energy at a maximum. High-fat content is also important, but it needs to come from quality sources. Fish, salmon oil, sunflower oil, and chicken fat are all excellent sources of fat for your active dog. Sometimes, the decision boils down to his or her breed. Many breeds are prone to specific health issues, like allergies, joint pain, or digestive issues. Others have difficulties maintaining a healthy, shiny coat. Several brands meet the needs of different breeds by providing formulas that cater to the needs of specific breeds. You may find that the right food for your dog can be found in a breed-specific formula, which can greatly narrow down your food options! With so many brands and formulas to choose from, you can save yourself some stress by choosing a dog food for your breed. Some dog food brands even have formulas for different breed sizes, from toy to extra-large breeds, that focus on the proper calories and ingredients for joint and dietary health. We hope this ultimate dog food guide leaves you feeling much more confident in understanding proper dog nutrition and choosing the right food for your dog. We know how important it is for your pooch to live a long, happy, healthy life – and much of that comes down to the food he eats every day. 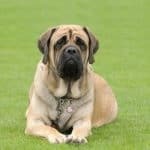 We found that Chewy.com has the best selection of dog food for all types of breeds. Be sure to check back here as a reference for anything you need to know about your dog’s food and how it can affect her health. As always, consult with your veterinarian before making any dietary change so you know how best to transition your dog to a new food and how to make her new diet a success. Thanks for this excellent and expansive guide! Not all dog foods are good and to determine what kind of dog food is good and what is bad, one should not only have the knowledge regarding the traits of the best dog food but have knowledge regarding the traits and features of a bad or worst dog food is also crucial. Great info’!!! Can Royal Canin Neutered Dogs under 10 kgs containing grains cause tooth decay on a large scale?